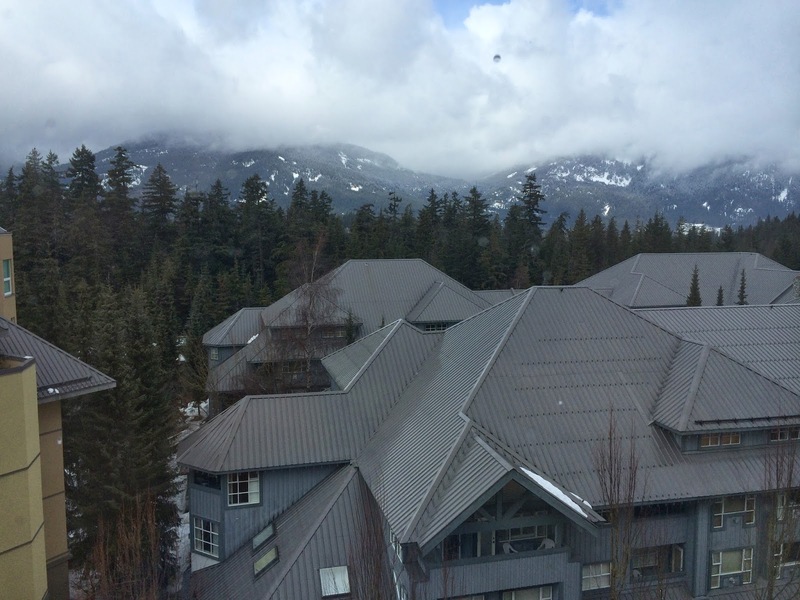 The weather was less than ideal today in Whistler as the picture from hotel room window shows. It would have been disappointing if I planned to be outdoors. Regardless, when you could see the mountains, they were still beautiful. That sort of summed up the day at TEDActive. There were a number of technical problems (audio, slides, etc.) with some of the speakers and performances. Worse, I found one group of talks rather frustrating and disappointing. Ultimately, however, there were enough good talks to make the day well worth the time. Let me get the frustrating part of the day out of the way, even though it was the last session. Each day is divided into groups of sessions lasting between 90 minutes and 2 hours. Each session has some loose guiding principle and a title. I was looking forward to the group of talks titled "Why?" This seemed like the perfect opportunity for TED to turn at least somewhat toward the role religion plays in answering that question. Jim Holt humorously throws up his hands as to Why? Instead, the session opened with an animated music video of a questioning youth becoming a suicide bomber. Later, Jason Webley's musical performance was marred by a series of technical problems which was not helped by his rambling and sometimes inaudible comments. In his defense, the sound problems would have thrown anyone off their game. The only talk that really addressed religion was by Jim Holt. It was funny and enjoyable, but basically pushed aside any answers religion might have. He also belittled atheists, so he was an equal opportunity insulter. He humorously came to the conclusion that we live in a "random," "generic," and "messy" universe which he was comfortable with because it was so much less pressure than being in any sort of special or perfect universe. The only mention of Jesus was as an expletive by the magic act at the end of that session. On a lighter note, there were a number of interesting contrasts during the day between the audience here at TEDActive and the one attending the main TED in Vancouver. Part of that difference is due to the audience participation that happens here. There were multiple times during the day where audience members could come to the microphone and give 30 seconds on one topic or another. There was a funny contrast between the excited audience reactions here and the camera pans of barely awake older attendees in Vancouver. 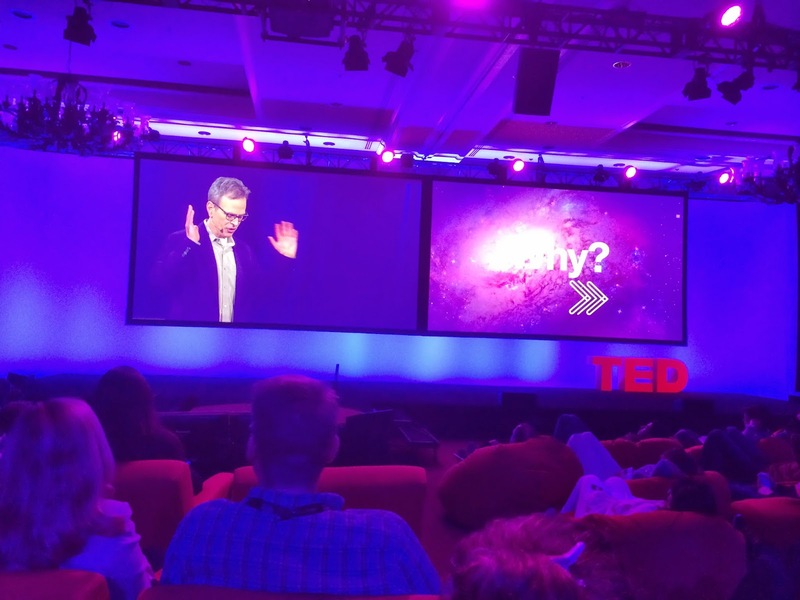 It seemed that every time the camera panned the Vancouver audience, it made the TEDActive crowd burst out in laughter. My favorite related comment was in response to an audience question about why TED does not try to reach out to older people like it does to younger ones. The response was something along the lines of, "You would think differently if you saw the audience in Vancouver." I'm glad to be in the young crowd! The day included some interesting and informative sessions as well as some great ones. Among the merely interesting (but good) ones, were Wendy Chung on autism (with a forceful detour to say that vaccines do NOT cause autism), Avi Reichental on 3D printing, NFL punter Chris Kluwe on the future of augmented reality in sports, Margaret Stewart from Facebook on the issues of design for really large scale audiences (the new Like button is seen 22 billion times a day), Rob Knight on the importance of the microbes in our bodies, Nancy Kanwisher on brain research using fMRI, Larry Page on lots of topics in an interview conducted by Charlie Rose, and many more that I've already forgotten. The days here are really full! The outstanding talks included the magician Helder Guimaraes doing some amazing card tricks that I really enjoyed. David Chalmers also did a thought-provoking talk on consciousness. As a philosopher he ponders the possible reasons for consciousness, trying to answer the questions, "Why are we conscious? Why are we not just robots?" He cited the work of Roger Penrose whose book, The Emperor's New Mind, I found fascinated though, at times, inscrutable. Chalmers ended up with what he calls two crazy ideas, that consciousness is a fundamental thing like the laws in physics and that it is universal, experienced at some level by everything. I found it sad that the simple answer of God was not one he choose to embrace. I really had hoped that the later Why? session would address those issues. Lawrence Lessig gave a short follow up to his talk last year on our broken political system. I came away this year seriously considering how I might be able to help his efforts to get the ridiculous amounts of money out of our political system. If we don't find some way to get the political system back into the hands of us, the people, things will only get worse. He left me with much to think about. The best session of the day, however, was by Hugh Herr. He is a researcher at MIT who works in the area of prosthesis. He himself lost his legs to frostbite. He gave his entire talk while pacing around on some incredible prosthetic legs. He stated, "A person can never be broken, just the technology is." And, he is working with truly exciting technology using active rather than passive devices. Legs like he was wearing are able to be fairly comfortable and yet able to actively help move. Seeing photos and video of what people (including himself) are able to do on these cutting-edge prosthetic legs was inspiring. What brought me to tears, however, was his finale. He has been working with the dancer who lost her leg in last year's terrorist bombing in Boston. As he put it, what the terrorist was able to do in 3.5 seconds would take 200 days to overcome. He had the woman come on stage and do a short ballroom dance using her prosthetic leg. I was far from the only person wiping my eyes. 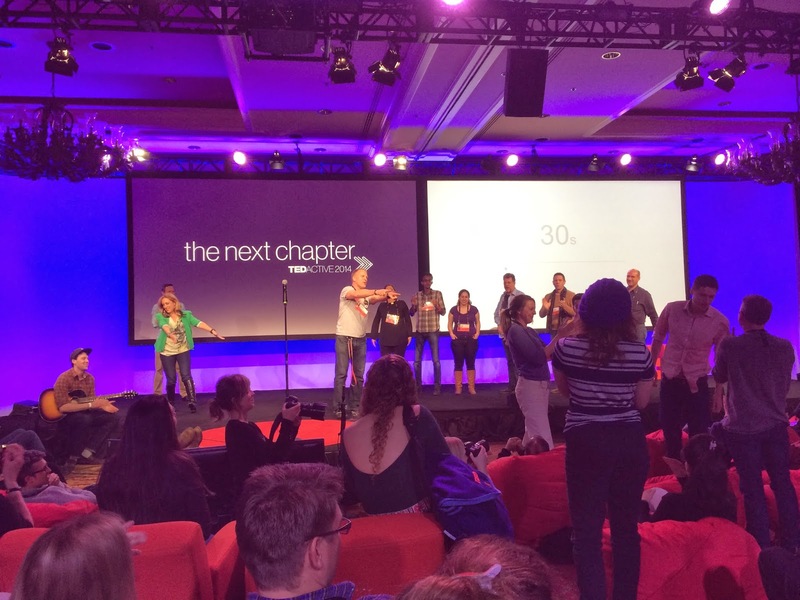 Seeing her dance may not have answered the Why question, but it did remind me of why i come to TED. It was a messy day, but a good one.